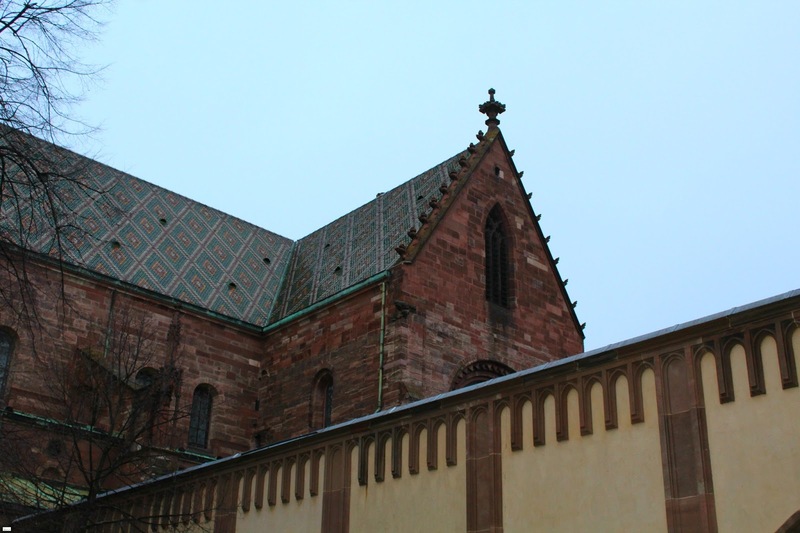 On our walk through downtown historic Basel (Switzerland) we had the lovely opportunity to really see and explore the Basel Cathedral, known as the Basler Munster. 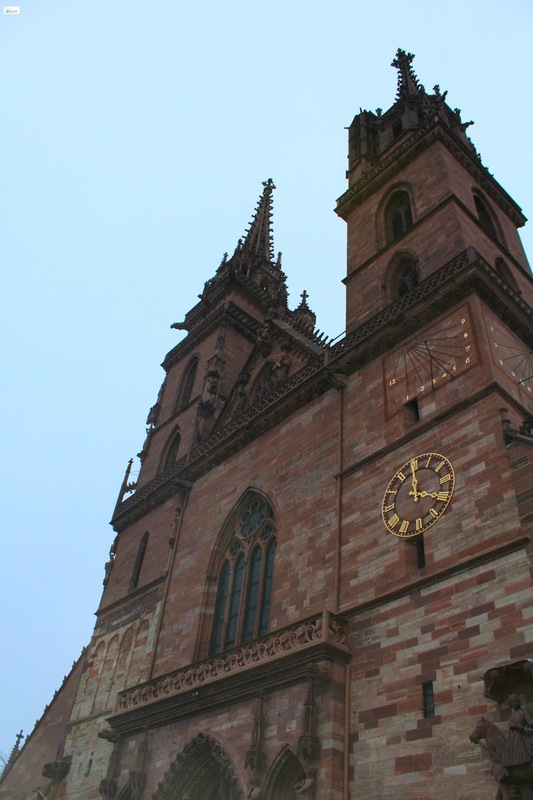 This beautiful church is one of the main landmarks and tourist attractions in Basel. 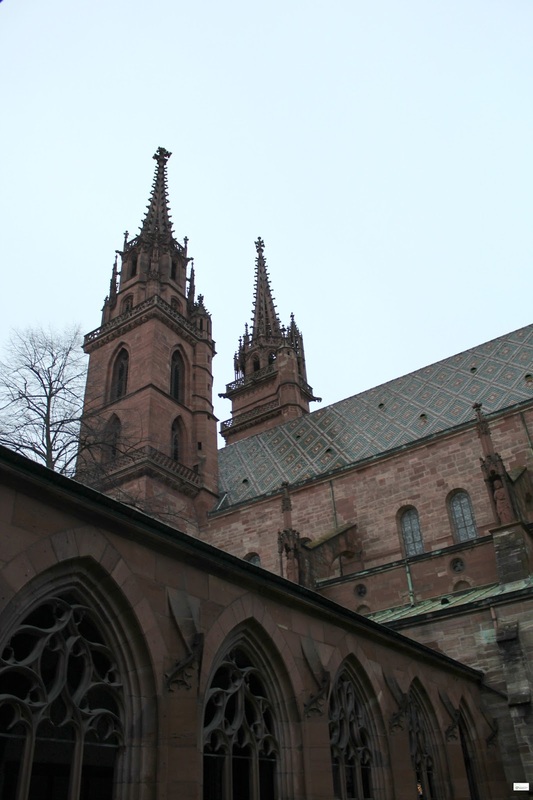 In addition to the beauty and unique architecture with its two slim towers, the cathedral is listed as a heritage site of national significance in Switzerland. 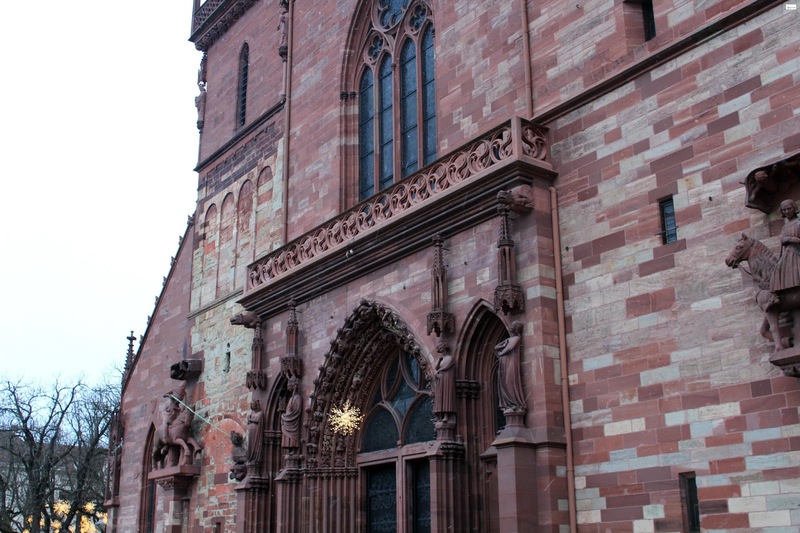 Originally the church was a Catholic Cathedral but today (after the reformation) it is now a Reformed Protestant Church. 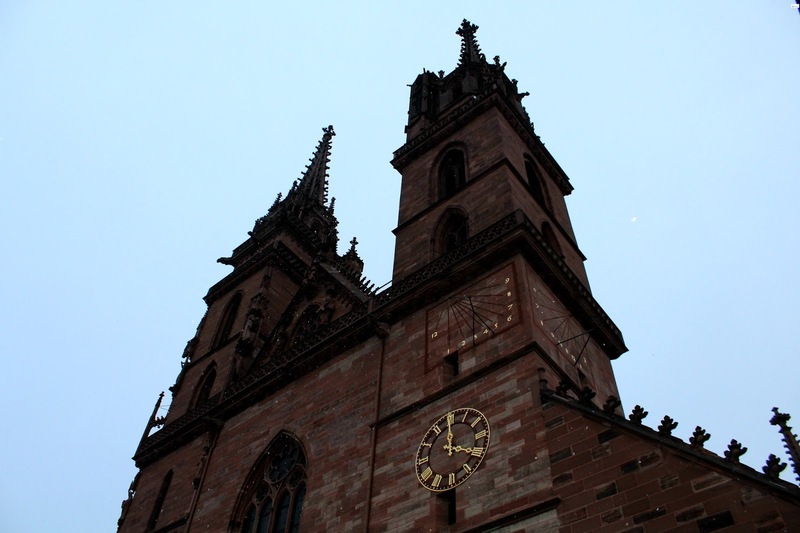 The Basel Cathedral was built between 1019 and 1500 and contain both the Romanesque and Gothic Styles. 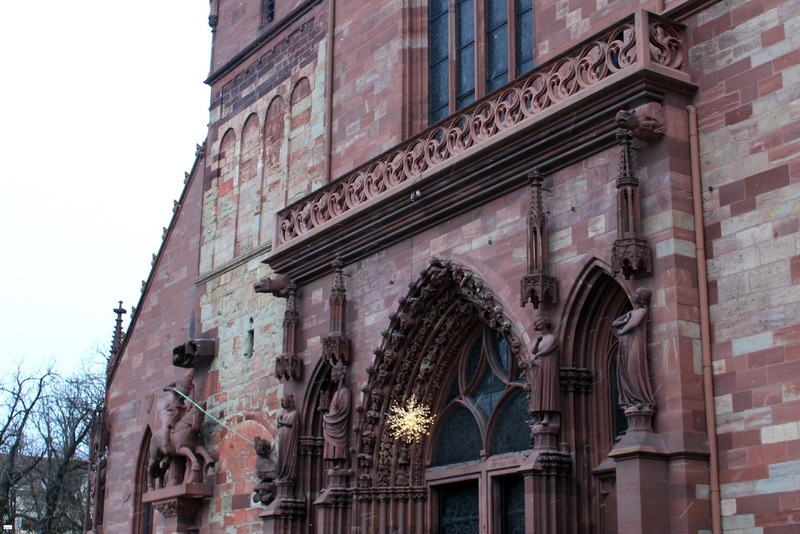 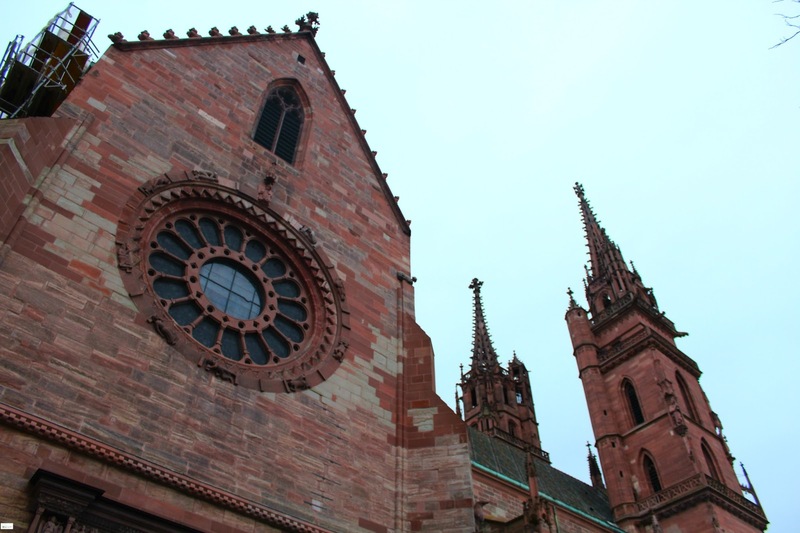 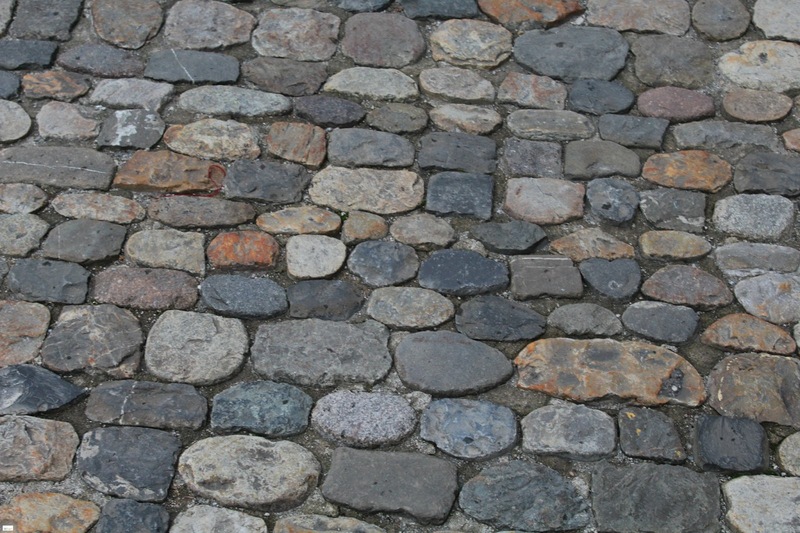 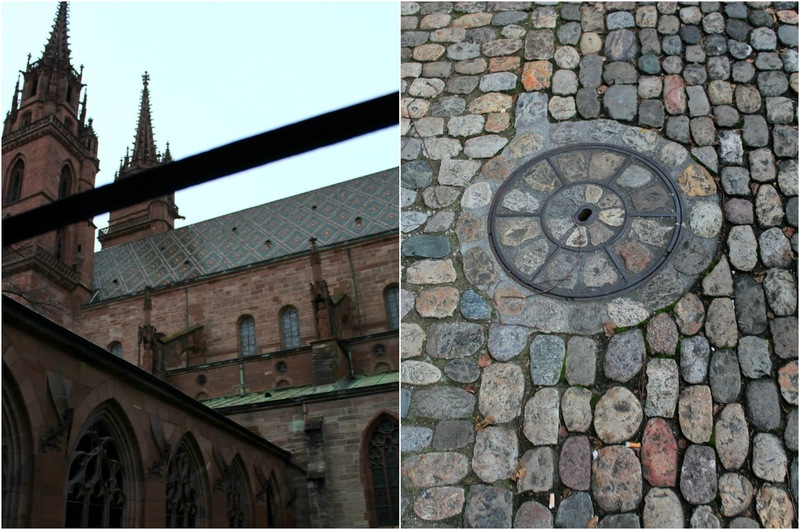 In 1356 the building (Romanesque structure and style) was destroyed by the Basel Earthquake. 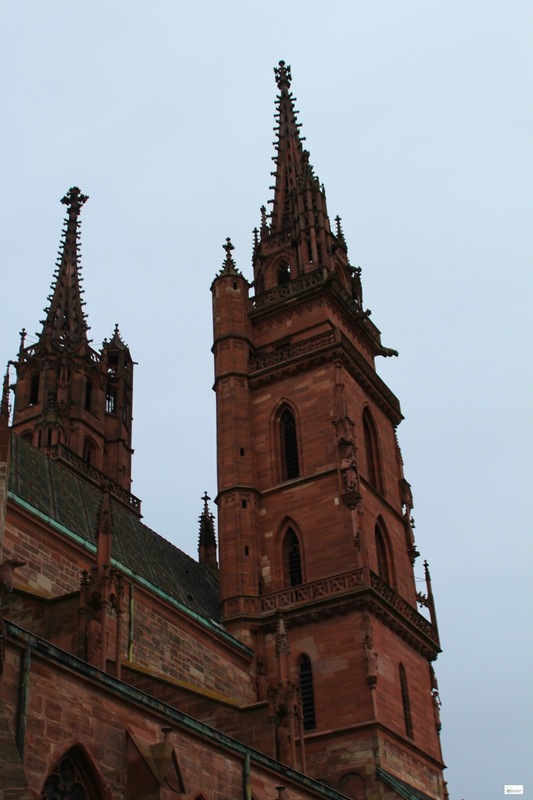 Eventually it was rebuilt and the final southern tower was completed in 1500. 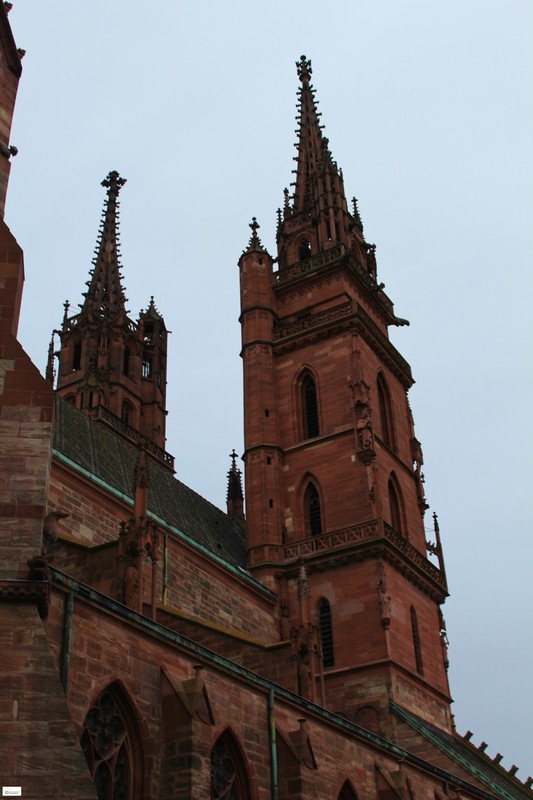 In addition to the varied and unique combination of the two styles there have been several important historical events that have taken place at the Cathedral. 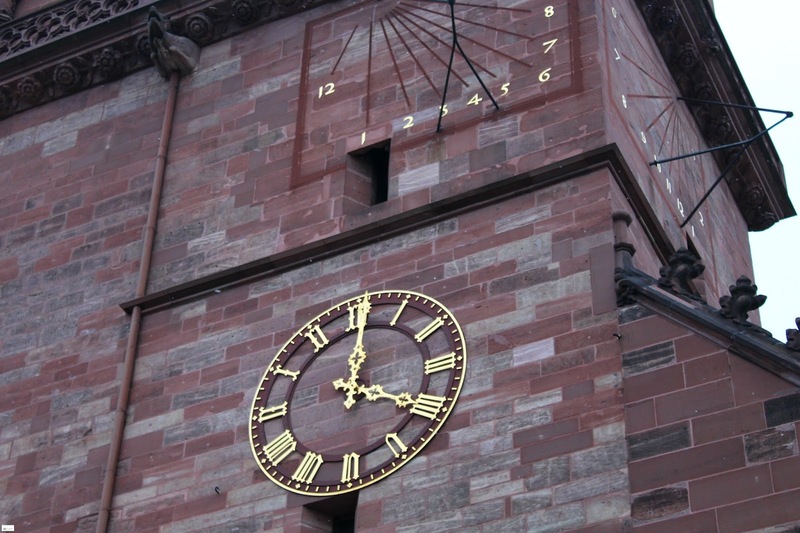 First, in 1424 Pope Martin V shared with Basel's government at the time that Basel had been chosen as the site of the next council. 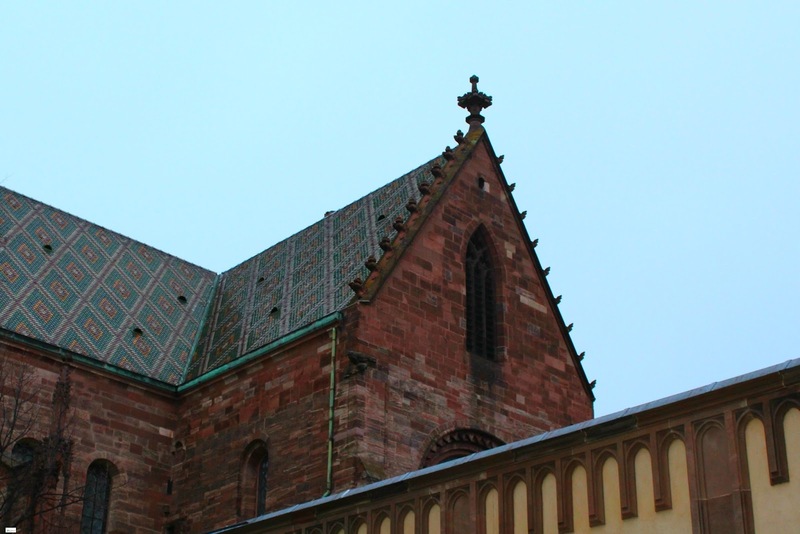 The point of these meetings was to implement a church reform. 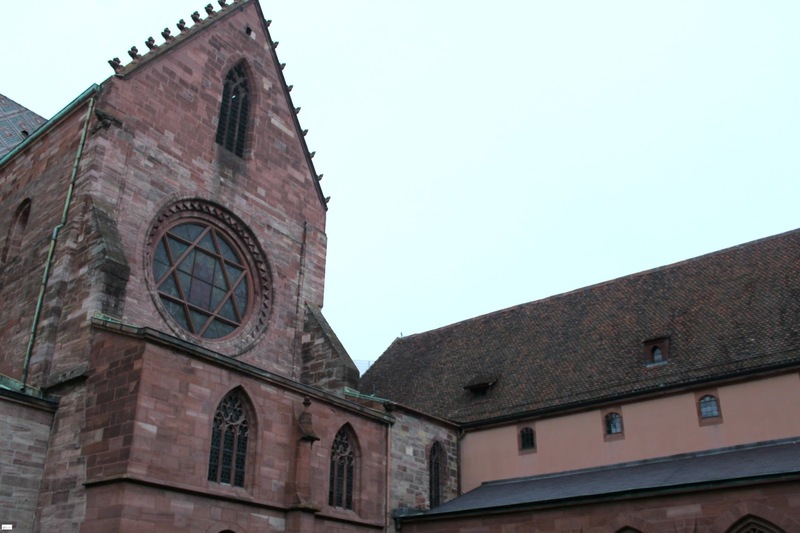 What is interesting to note is that the church continues to hold meetings, one of which we experienced when we were in Basel. 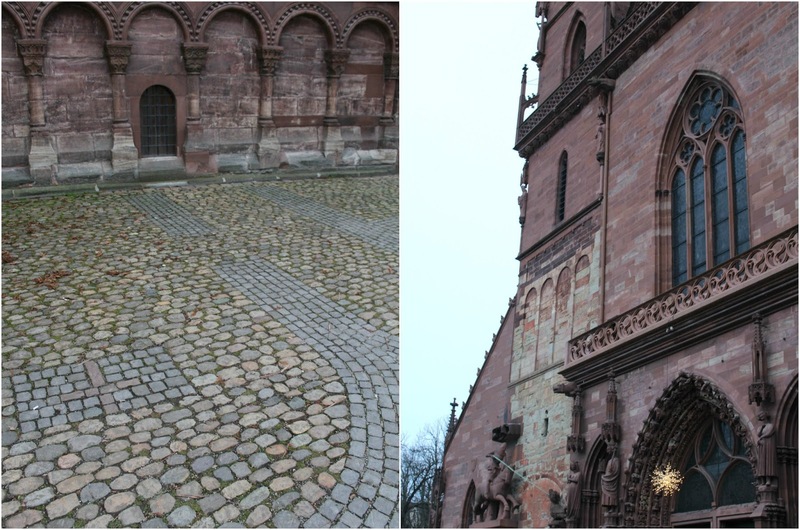 On the day that we were there there were almost 20000 teens that were gathering for a conference from all over points of Europe. 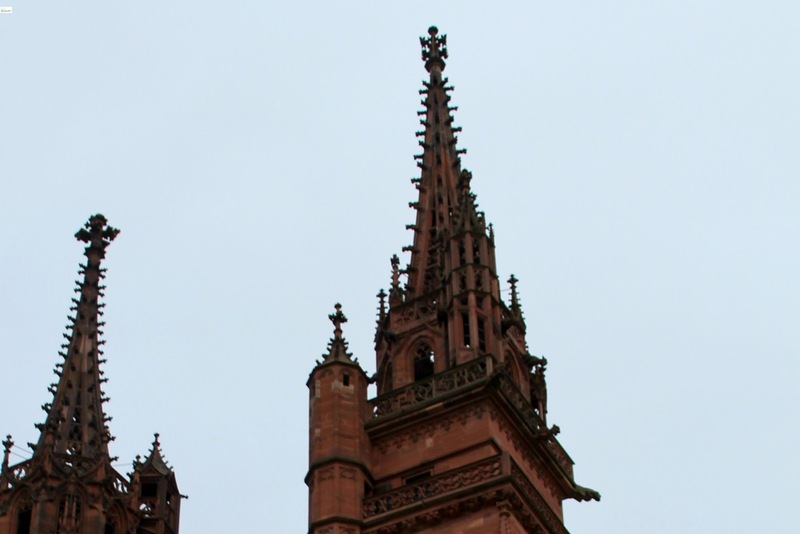 It was truly amazing to witness and to see so many teens gathering for a religious gathering. 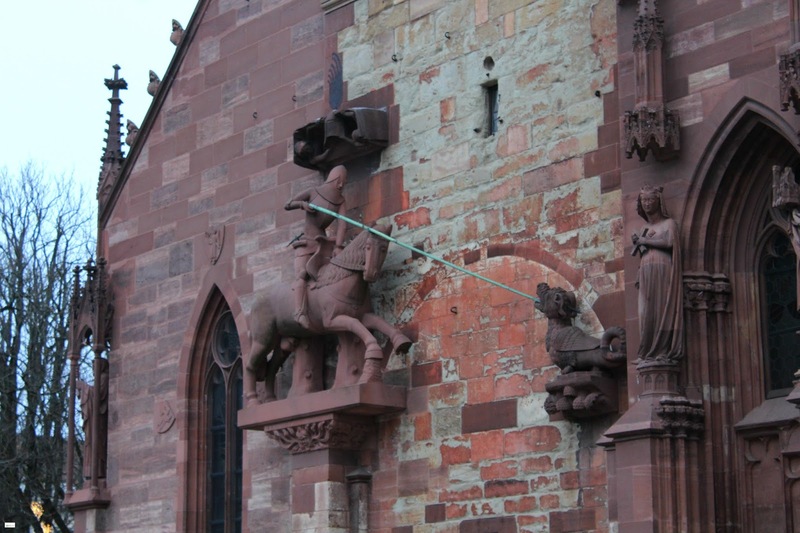 Another important historical event that happened was the destruction of religious paintings that took place. 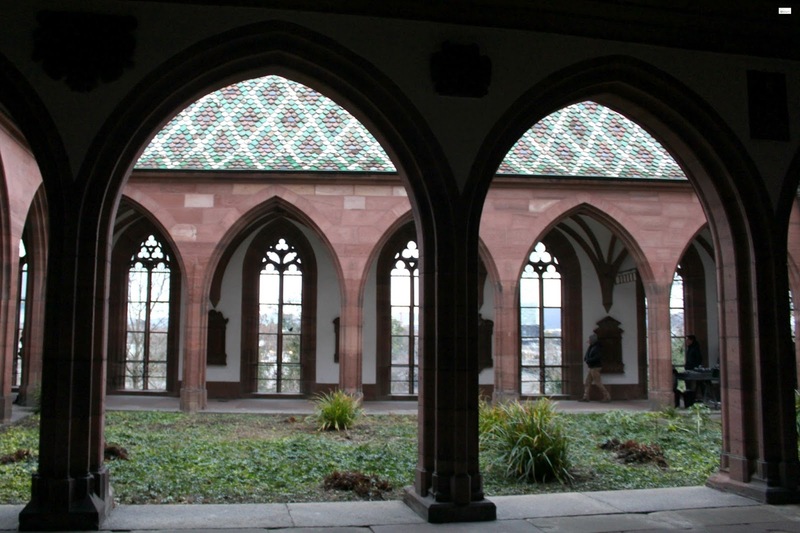 Unfortunately during the Protestant Reformation there were many pieces of art that were destroyed. 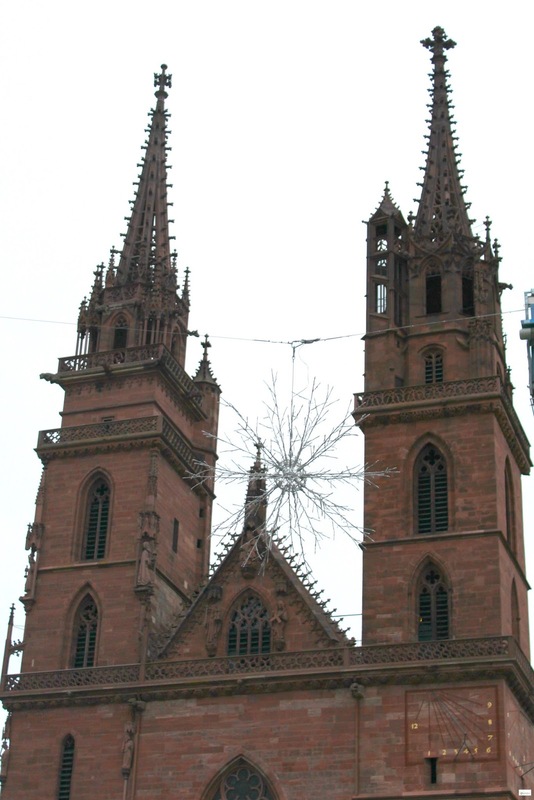 Citizens stormed many of the churches in Basel and demolished many religious paintings and statues. 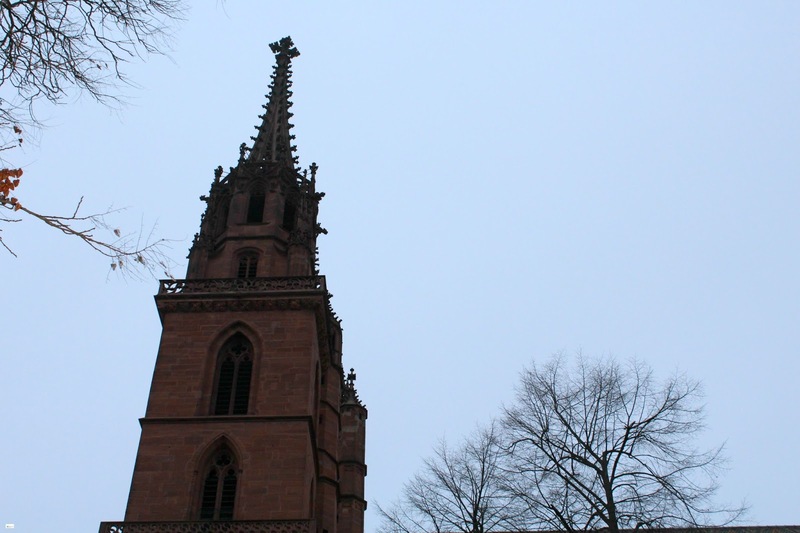 Despite this the church remained and eventually became a protestant church. 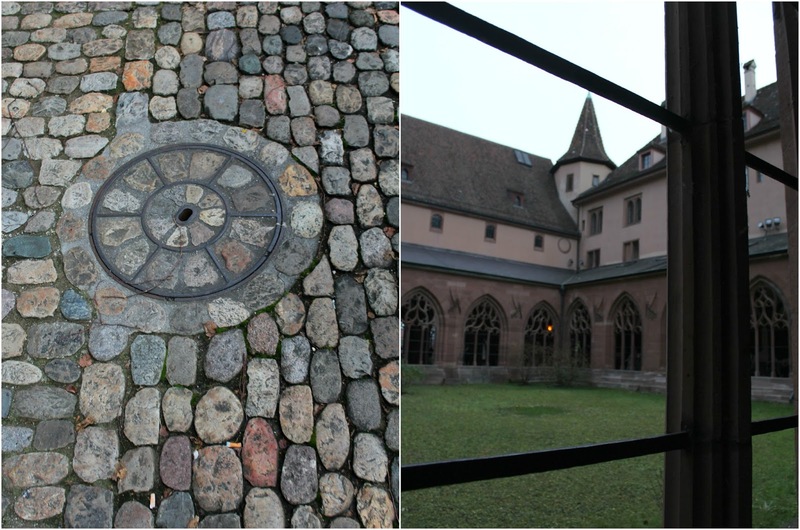 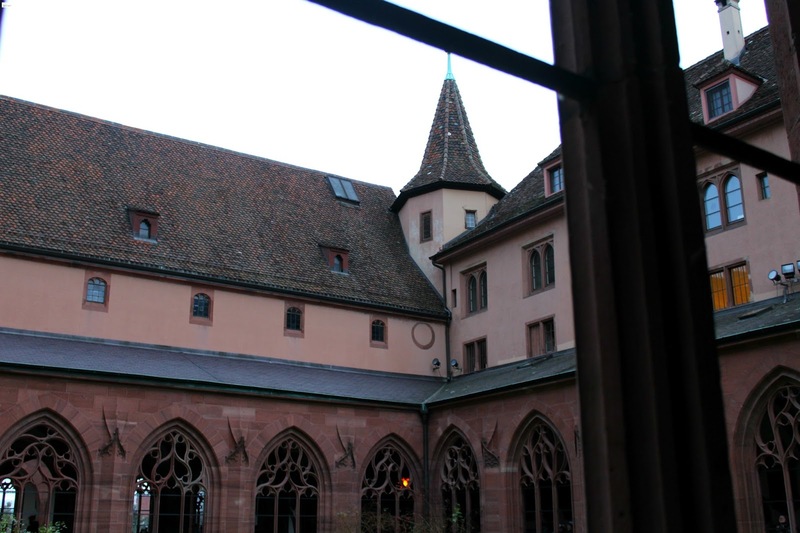 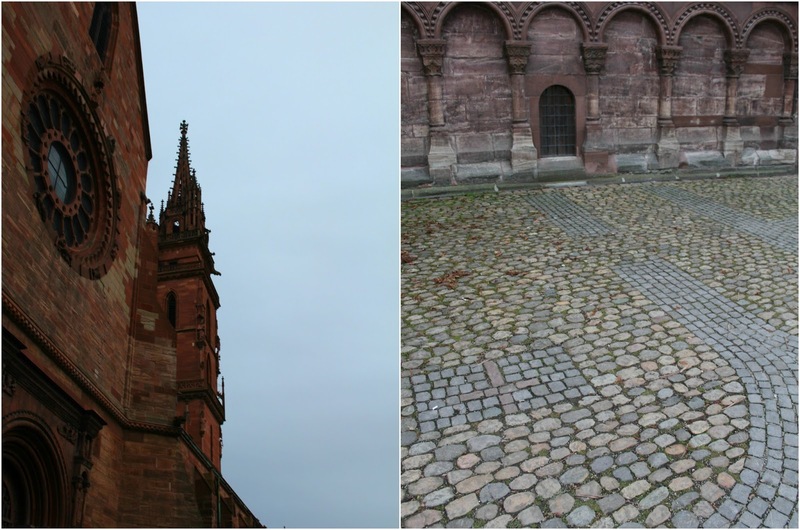 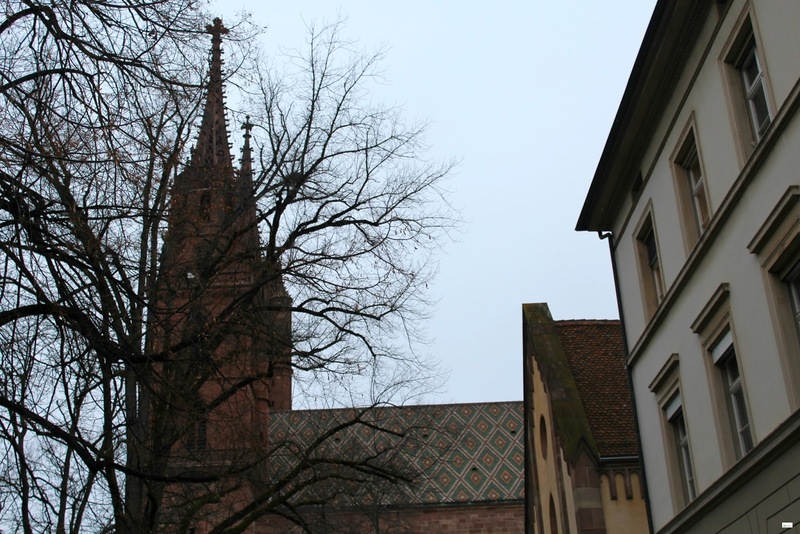 After we toured throughout the Basel Cathedral we walked out to the back of the church courtyard. 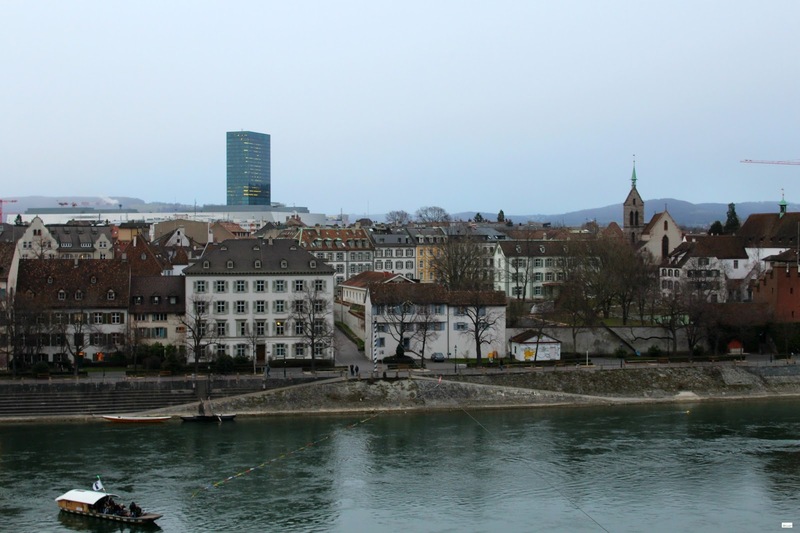 From there we could see more of the city of Basel. 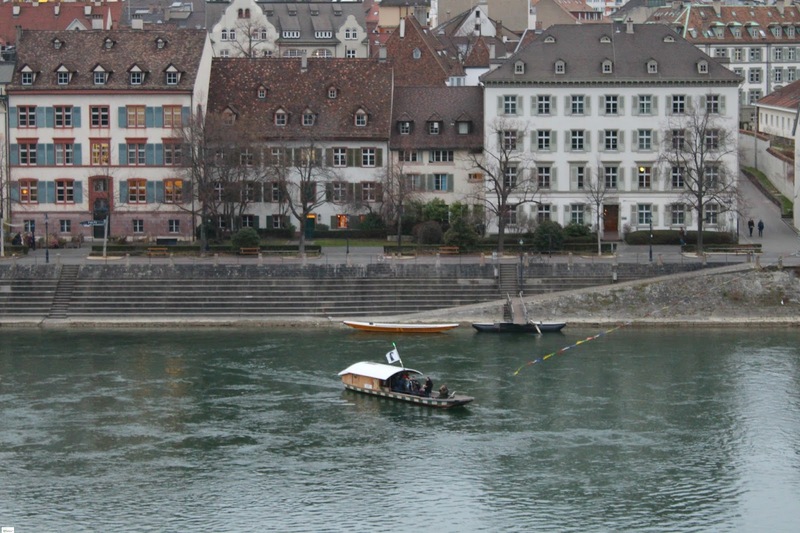 It's tiny but in this picture (on the left) on the bridge you can see a tiny tower. 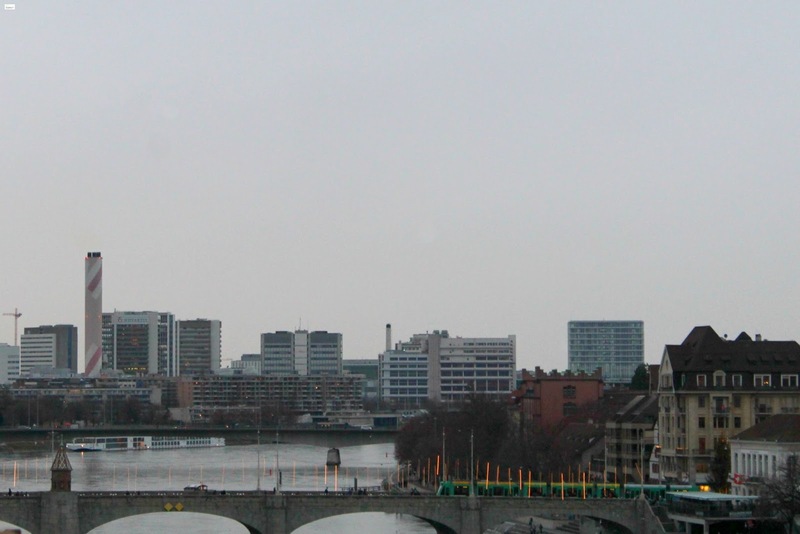 This tower was built a couple of centuries ago to show they unity between "big" and "little" Basel (the two different sides of Basel separated by the river). 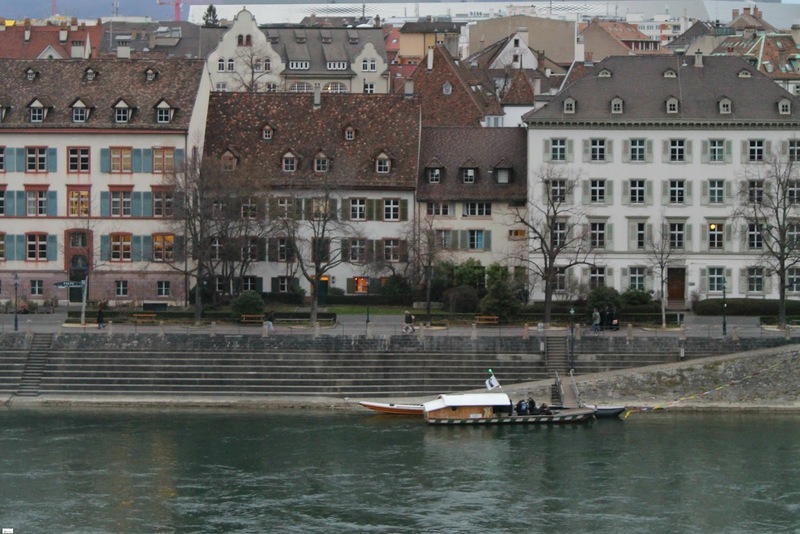 Even today ferries transport people going to and from work across the rivers. 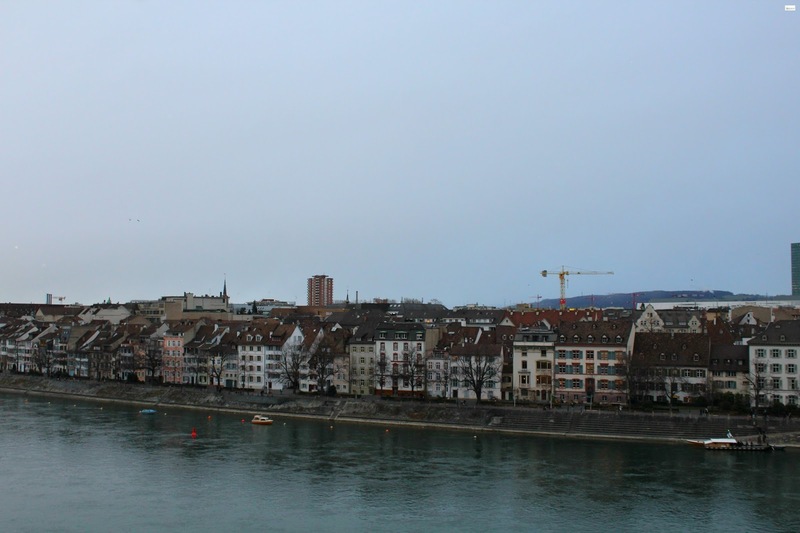 I hope that y'all have enjoyed this brief glance into Basel, Switzerland from our trip with Viking Cruises! 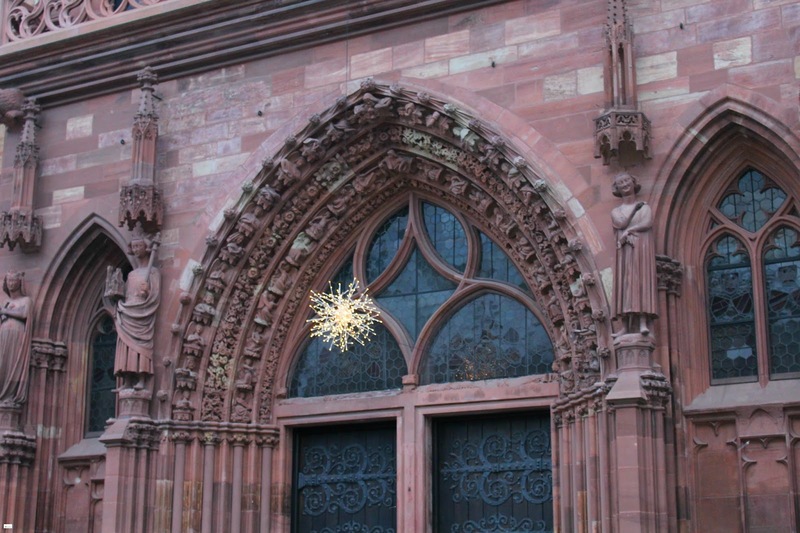 It is definitely a place that I would recommend visiting!